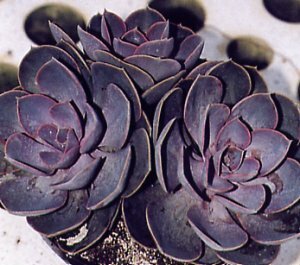 Pinkish-grey rosettes. Full sun good for pots, troughs etc. Orange and yellow flowers in summer, frost-tender overwinter in unheated greenhouse.